This is a tale of two young autistics in Sheffield. And to die, of unexplained injuries, and a heart attack, after huge doses of anti-psychotic drugs, were pumped into him,in a private cAmbian owned community living placement, charging at least £6,500 per week. This is a tale of evil, and corruption. Of profits, for a privatised NHS, and, independent living providers. Of colluding courts, and Local Authorities. This is a tale of me, a mother, sick with worry. And another mother, who had warned, they would kill her son, with their ‘treatment’, but they continued, gagged her with a court order and he died two weeks later. 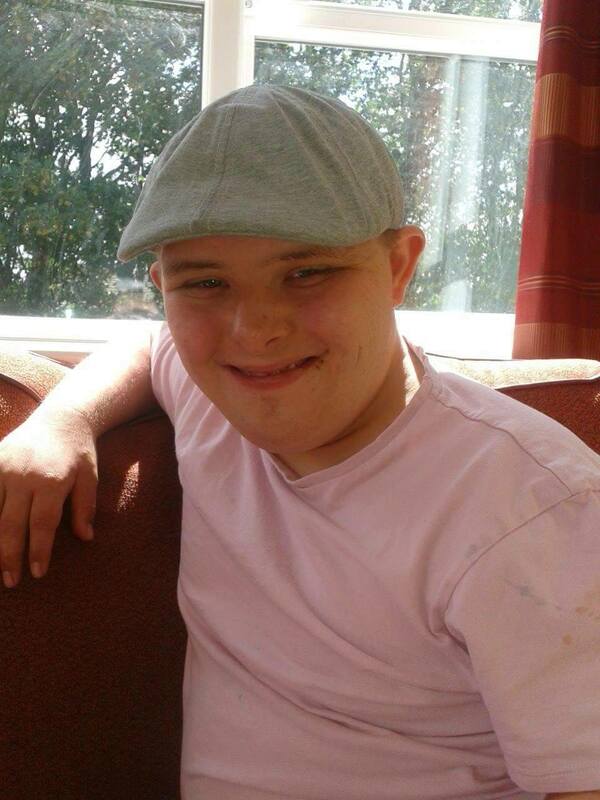 Thomas Rawnsley, was transferred, via a deprivation of liberty order, granted by the Court of Protection, under the Mental Capacity Act, against his parents wishes, from his home in Bradford, to a hospital in Peterborough, and then, to a privately run, ‘independent’/ supported living facility in Sheffield. His loving mother was replaced by itinerant carers. and, regularly threaten, ‘How many fingers can I break this time ?’, and then bend Thomas’ fingers back, but they did not break, only because, Thomas was double jointed. Thankfully for Thomas, there was a witness, prepared to risk all to whistle blow. How much violence, and, verbal abuse goes unseen, ignored, or blamed on self harm, or mental illness ? 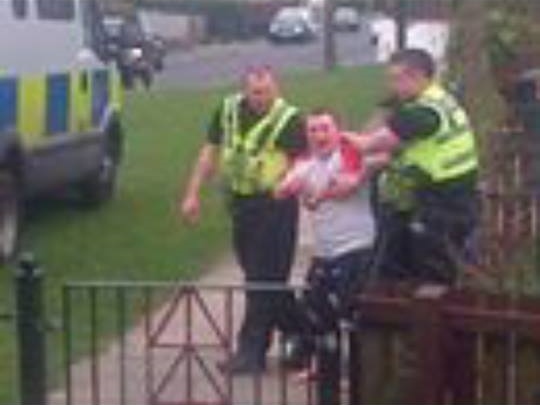 Thomas’ ‘carer’, received a suspended prison sentence in February 2014. Despite this desperately traumatic abuse, Thomas was not returned to the love, and care of his parents, and familiarly of this friends, and community. But forced to remain, in the same independent living unit, as Thomas was earning more than £6,000 a week. Understandably,Thomas’ trauma, and unhappiness, made him difficult to care for. See, the Justice For Thomas Post reblogged later. Now disappeared. The independent living provider now also owned by Cambian sent Thomas, to an A T Unit for his ‘medication’. Fortuitously, for this new ATU, as it had been threatened with closure, and, for a long time, Thomas was its only patient. This appears to be the same group of multimillion pound assessment centres, build on the back of my daughters illegal, off label Risperidone trial in 2007, when our complaint to CAMHS, lead to the LA taking court proceedings against us. 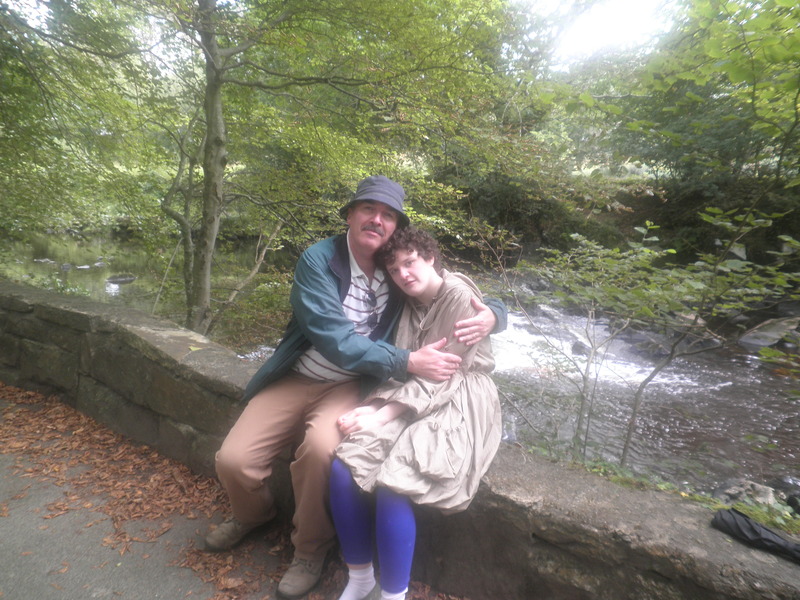 It is where, her National Autistic Society wanted to send Issy in 2013, just before she, refused to return to their care, with a faecal impaction, 7 stone in weight, with 2 rotten teeth, and suffering PTSD from their carers abuse. The only ‘treatment’ in these centres, is high dosage antipsychotics. No dentist, no clearing out of impaction, no peace with her family to get over her PTSD, just more emotional abuse. It is also where Issy would be sent if there had ever been any violent/uncontrollable incidents. See my post Respite and the secret social worker. They promised Thomas, he could go home for Christmas. At the last minute, permission was withdrawn on the grounds, he would not want to return, and, his subsequent behaviour,might be difficult. So much for disabled person’s independent autonomy, human rights, and best interests. And the mockery of his supposed ‘independent’ living as an adult. The Unit only eventually agreed to let Thomas go home, after realising he knew about the trip, and someone would have to tell him it was off. He can’t eat, he can’t talk – he just dribbles. He’s been turned into a junkie; he’s addicted to his anti-psychotic drugs because he’s kept on the maximum dose to make it easier for them to cope. It breaks my heart. He sits naked in a corridor just wrapped in a quilt. He has no modesty or dignity in there. He is my beautiful, beautiful little boy. When I ask the unit why he’s left naked like that they tell me it’s what he wants. I ask them lots of questions, I don’t get real answers. I think they see me as a trouble-maker but I’m not, I’m Thomas’s mum. 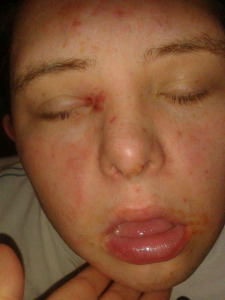 Thomas in ATU on medication . On the very day Thomas lay dying,a few miles away, social workers, sat in my kitchen, inspecting clothes, already photographed by teacher/care workers. a day after the hearing of the LA’s mca application to remove my daughter to the same home Kingdom House where Thomas had effectively died. and the LA Service Manager, AFTER we complained held meetings on her ‘concern’, that she had seen Issy, naked in the kitchen, on the way to her bath. No one saw, or cared, about Thomas’ abuse, this was the ATU’s purpose, he was keeping it open, making huge profits for its corporate owners. Thomas was earning £6,500 ( and drugs and kickbacks ) per week, for our privatised NHS ie Cambian Group. So much for budget restrictions, these on only placed on support at home. They are the excuse, for enforced away from home living and big bucks for the privatised monopoly ‘care’ services, from central government. The weekend before Thomas died, his parents noticed ‘unexplained injuries’, including carpet burns, and he was ‘’struggling with a chest infection that they knew was serious’. 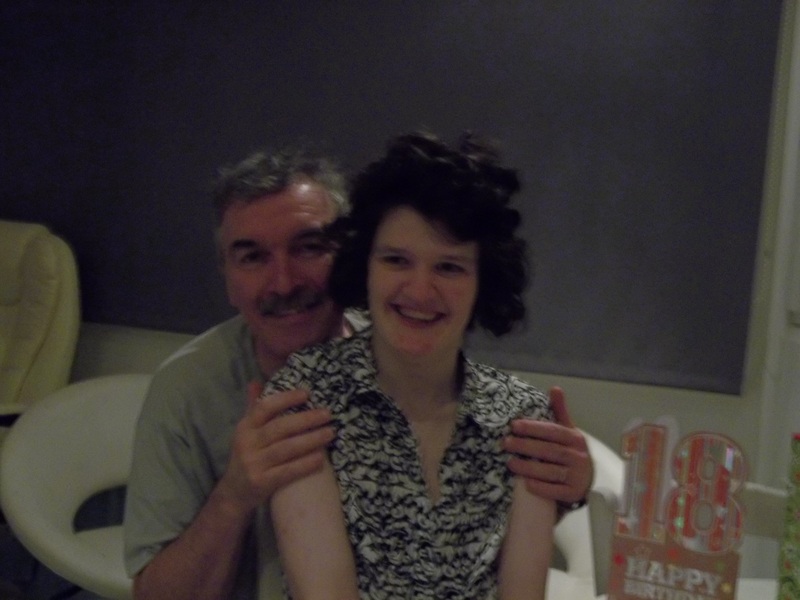 There is little medical attention in COMMUNITY LIVING, as in Issy’s £9,000 per week National Autistic School. He collapsed, and died shortly afterwards of a massive heart attack. And had spent the last two years of his life in hell. Will there be an inquest? Unlikely, and if there is, all experts, providers, have financial/career/systemic interests in covering up the truth, and continuing their income and investment source. Will the Unit be closed down now, as it is at present under used, and serves no purpose, but to torture, and drug those who cause any problems, to their itinerant carers, in their 3,000 per week independence.? Not, if the state, can steal more autistics from loving families. Thomas. collapsed, and became brain dead on the 3rd February 2015. Mental Health, Big Pharma, Big Profits, Big Danger. As it is was revealed in February 2013, NHS bosses allowed the world’s biggest drugs firm’s’ lobbying company, to draft a report shaping our future health policy, we must consider the very real danger of the abuse of our mental health for profit. Mental consumers are sought everywhere- schools, prisons, hospitals, police stations, prisons, even the homeless sleeping rough are hounded. By 2016 Cameron announces on national news 1 in 10 children suffer from a diagnosable mental disorder. And all media promote the outing of ‘mental health’ issues. And it is encouraged to discuss your mental issues, which then become a disability and enable the state to control the citizen and make him a pharma cash cow. In 2011 FOI notices revealed hundreds of instances of hospitality, worth several hundred thousand pounds from drug giants. Of conferences for NHS staff in Sydney, Mauritius, Las Vegas. We are fed by the media, that the recently created, and now accepted without question phenomena of ‘self harm’, has seen a 45% increase in boys, all ripe for medication. Mere social conduct disorders are now classed as mental disorders to treat with a different expensive drug. In America half of foster children are on prescribed drugs. One in 15 Americans at 18 now are labelled with a mental disorder. See Robert Whitaker’s ‘Anatomy of an Epidemic’ and how the label of a disorder rather than helping has destroyed lives. A and E departments received 30 million for mental health, funding is in place, for mental health referrals, in police stations, and schools. We have an over supply of NHS mental health ‘professionals’ and 375 curtesy of America, mental disorders. 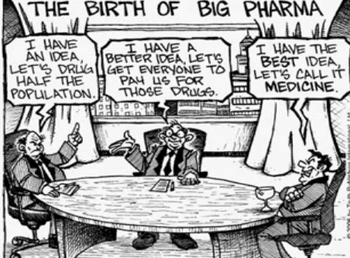 Medicalisation of social/ behavioural problems is a huge ever growing market for the Pharma Industry. The Mirror revealed, 62 Tory MPs have links with Private Health. Disorders make profit and control our autonomy, and society. In 2005, the FDA issued an extraordinary “Public Health Advisory” cautioned against the risks, associated with, the whole new generation of antidepressants, including, Prozac, and its knock offs, Zoloft, Paxil, Luvox, Celexa, and Lexapro, as well as Wellbutrin, Effexor, Serzone, and Remeron. The warning followed a public hearing, in which, dozens of family members and victims testified of increased violence, and suicide after their use. Despite this, and research studies showing anti-depressants were only slightly more effective, than a placebo. Which is why Prozac is not licensed in Germany and does not satisfy NICE effectiveness guidelines. This less that clinically required beneficial effect could in any event be due to research and conferences, being funded by the drug companies, research methods design to show advantages, and positive effects being published more than negative ones. Yet despite this in 2007, there were 34 million prescriptions for anti-depressants and more than 40 million people are estimated to have taken Prozac since 1988. ‘Experts’ know little of how our brains work and even less as to how drugs affect this working and our physical health, particularly, in the long term. And therefore can know little about how antidepressants work. The huge flaw is that no test, can measure the amount of serotonin in a living brain. So ‘experts’ do not know what is a low, or normal level of serotonin in a normal brain and are working blind with adjustments by medication. And there is little evidence, that depression is caused by a serotonin shortage per se and many studies contradict this theory of depression but are hidden . And in today’s desperate times, it is more likely not pathological, but a normal reaction to uncertainty, debt and stressful abusive employment and education, and our survival of the fittest society . Children and adult mental health services and other NHS mental health services consist of diagnosis and then usually straight onto medication. But the effectiveness is not known, and is not monitored, and there are no scientific controls so the adequacy of services and drugs which cost billions cannot be judged. So we have a multibillion pound industry, which by funding research, media and government, can create an ever increasing market, voluntary, and enforced, under the threat of care orders, if under 16, and, then mental capacity act orders if over. Already half our population has been put on prescribed drugs. 1 in 15 Americans, reach adulthood with a mental disorder. Do we really want to follow ? The Mental Capacity Act 05 allows the state, to enforce medication, on effectively anyone, the experts, deem ‘incapable, of making a decision in respect to their medication. And the Act, has a frighteningly vague, all expansive definition of ‘incapacity’, which systemically, is made, impossible to oppose. Worse still ,The Medicines for Human Use (Clinical Trials) Regulations 2004, which regulates the conduct of clinical trials on medicinal products, allows a legal representative, (a person not connected with the conduct of the trial), to consent to the participation of ‘incapable’ adults, in medical research, currently, very little is known as to how these representatives make their decisions. So it appears, those deemed ‘incapable’ under the MCA and that is potential millions can be used as guinea pigs by profit hungry drug companies. Most alarming is the fact there is no central check, or control on prescription drugs. GPs are politicised and commercialised. They do not have to comply with conditions of drug licences and often prescribe off- label. Mental health, is the perfect business model, for present, and future profit particularly as it is being increasingly enforced by the MCA,and, supported by academics, NHS and media. All financed and controlled by government.